Arlington, VA, August 6, 2018 – As summer winds down, PBS KIDS will offer a variety of resources to help kids kick off the new school year. Studies continually show that children who enter preschool and early grades prepared have higher rates of later academic success, and that engagement with their parents and teachers plays a critical role in giving kids a strong start. * PBS KIDS aims to support the entire ecosystem in which children learn, offering educational and engaging content for kids and supporting tools for their parents and teachers. This September, PBS KIDS will premiere the first-ever movie from the beloved series from Fred Rogers Productions, DANIEL TIGER’S NEIGHBORHOOD, which will explore social/emotional-based school-readiness themes. In THE DANIEL TIGER MOVIE: WON’T YOU BE OUR NEIGHBOR?, a new family has moved to the Neighborhood of Make-Believe. It’s up to Daniel and his community to welcome the family with open arms, forging new friendships in this much-anticipated movie event. THE DANIEL TIGER MOVIE: WON’T YOU BE OUR NEIGHBOR? will repeat throughout the week of September 17 on PBS KIDS and the PBS KIDS 24/7 channel and live stream. It will also be available for free on pbskids.org and the PBS KIDS Video App. 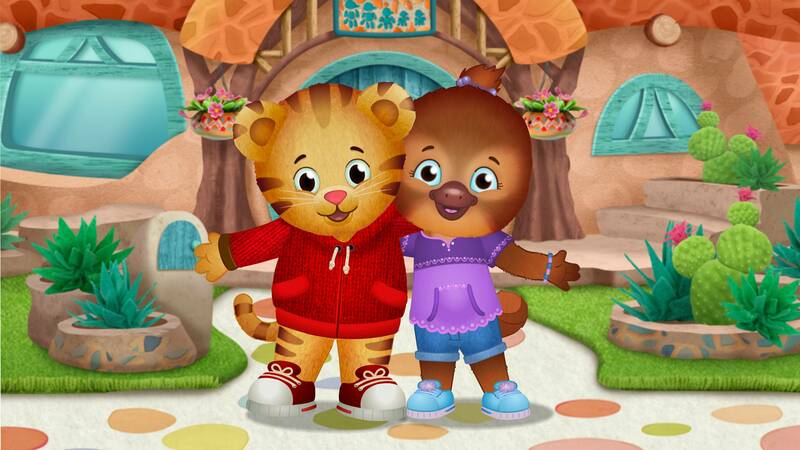 Additionally, two new episodes from DANIEL TIGER’S NEIGHBORHOOD will debut throughout the week of September 17, focusing on themes such as making new friends and navigating unfamiliar social situations. New two-minute shorts from DANIEL TIGER’S NEIGHBORHOOD can now be seen alongside season four episodes on-air. They will debut on the PBS KIDS YouTube channel, PBS KIDS Video app and PBS KIDS Facebook page weekly beginning Saturday, August 25. In each segment, one of the neighbors will open their door and show us around from their unique perspective, allowing preschoolers to develop empathy skills by better understanding the lives and experiences of others. To help educators prepare for another school year to begin, PBS LearningMedia offers thousands of free classroom-ready content, aligned to state and national standards. A new back-to-school collection of resources from DANIEL TIGER’S NEIGHBORHOOD, KET’s Everyday Learning and more are now available. Teachers can also take advantage of the free PBS Media Literacy Educator Certification by KQED at www.kqed.org/certification. This new certification recognizes educators who excel in creating and implementing instruction with media, and provides support to help all teachers accelerate these skills. THE DANIEL TIGER MOVIE: WON’T YOU BE OUR NEIGHBOR? ?